Ford has announced the arrival of 2019's most hotly-anticipated hot hatch. 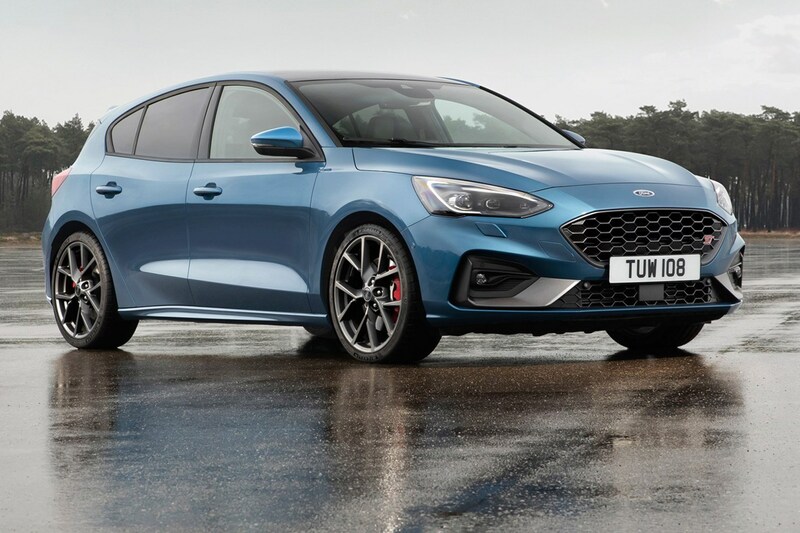 The new Focus ST promises to build upon the sporting character of the current range of hatchback and estate models, with their agile handling and keen steering. All signs point towards the same path trodden by previous Ford Focus ST. It receives its ST upgrade package by adding more power and performance-enhancing technology for across-the-board improvements, while still maintaining the essence of day-to-day convenience. As well as benefitting from the enhanced technological offering of the 2018 Ford Focus, there is a whole collection of extras on the table, too. 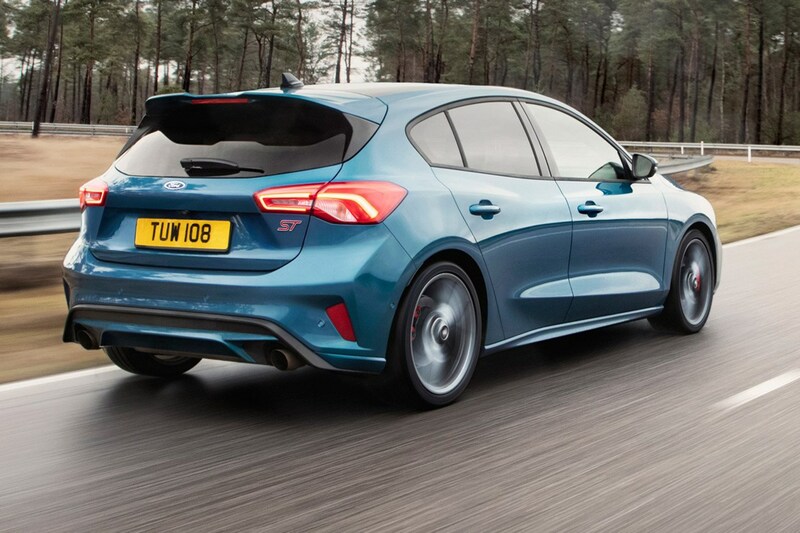 But that's by the by – will the 2019 Ford Focus ST go to the head of the hot-hatch pack? 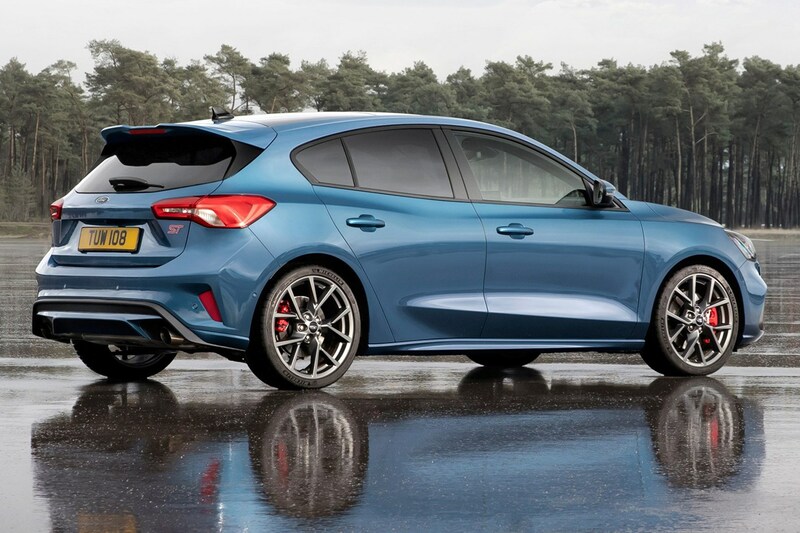 Its hottest rivals are the Renault Megane RS, Hyundai i30 N and Peugeot 308 GTI, all of which offer similar power, and highly, ahem, focused dynamics. What's under the bonnet of the 2019 Ford Focus ST? There is a diesel version packing 190hp and 400Nm, and it should be rapid and fun enough to see off the popular Volkswagen Golf GTD. But the real interest in the range is the petrol version, which will – like its predecessor – appeal to enthusiasts who love the old car's slightly rebellious image. Unlike before, the petrol ST gets a larger 2.3-litre turbocharged plant, which produces a decent 280hp and 420Nm. That's powerful enough to be interesting, but also gives Ford enough headroom to build a suitably lairy range-topping RS. Don't expect that to appear until well into 2020, though. How fast is the new Focus ST? Well, Ford hasn't revealed any detailed data yet, but the petrol option features turbolag-reducing technology taken from the GT supercar to improve responsiveness. As a consequence, it's quick off the mark, with a 0-62mph time of less than six seconds, and a maximum speed of around 155mph. There are two transmission options, a six-speed manual gearbox, and a seven-speed auto. Rev-matching tech can be added to the manual as part of the ST’s Performance Pack to smooth out gear changes and excite those drivers chasing every tenth of a second. Does more power mean all-wheel drive? No, unlike the outgoing Ford Focus RS, the 2019 ST remains front driven, with a new electric limited-slip differential for the petrol car, a first for Ford, to help put all that power down on the road. But the diesel hasn’t been entirely left out, it features torque vectoring for better roadholding and balance under braking. There is also sharper power steering, refined rear suspension, stronger brakes and optional continuously controlled damping for five-door petrol models aimed at delivering greater cornering stability. Three drive modes called Slippery/Wet, Normal and Sport are including, and there are more specialised track modes included with the Performance Pack which allow more precise adjustments. We like how subtle it is. That might be in contrast to what buyers want, though. 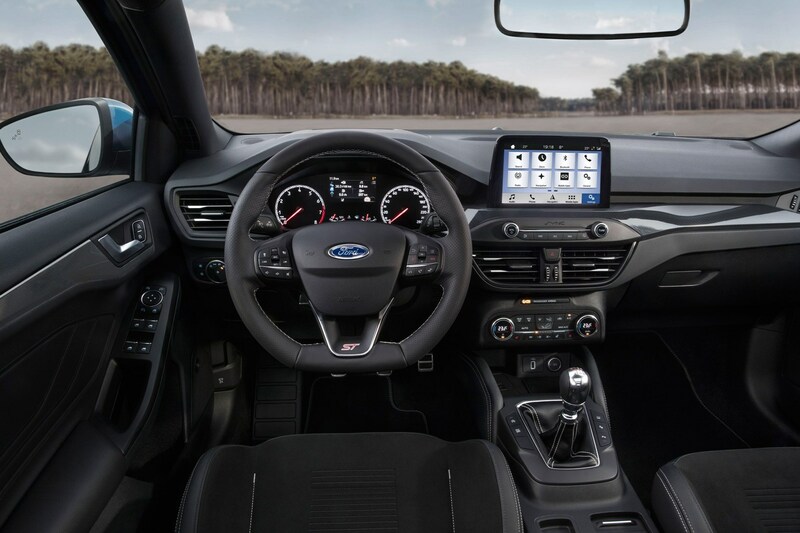 Ford has included Recaro sports seats in the front, exhaust amplification while in sport or track modes, a flat-bottomed sports steering wheel, aluminium gear knob, and alloy pedals for added sports car experience. There are also some styling tweaks on the outside including ST exclusive alloy wheels, a larger, steeper rear spoiler and a redesigned front grille, while the Performance Pack also offers red brake callipers. Add to that a range of ST exclusive colour options and what remains to be seen is just how well it actually drives. If previous models are anything to go by, it should be excellent. 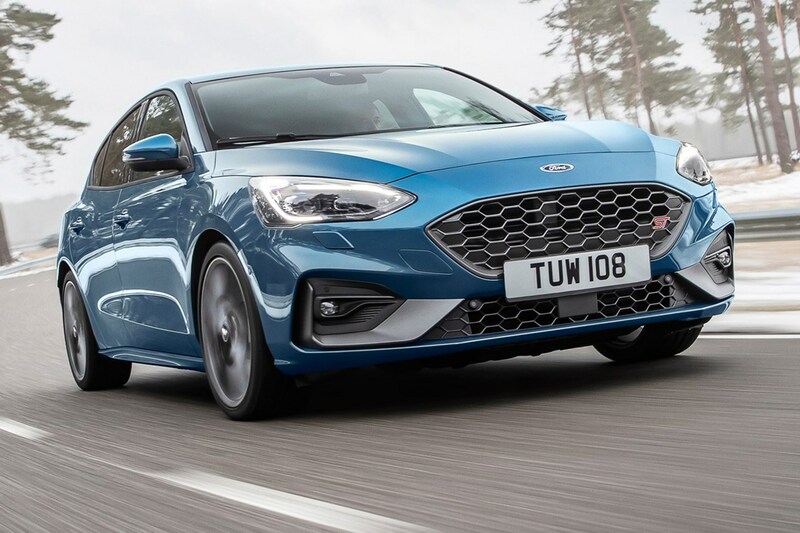 The new Ford Focus ST goes on sale in summer 2019, and expect it to cost between £25,000 and £27,000 for the entry-level version before options.